For one thing, it can be so many different things. It can be sweet, of course. But it can be savory, too. If it’s sweet, is it filled with berries, apples, pears, plums, or rhubarb? Or maybe chocolate custard? Or peanut butter cream? Pecan, pumpkin? Ice cream?! And on the savory side, we have everything from spinach pies to turkey pot pies to Scottish beef pies to fish pies to bean pies to shepherd pies to you-name-it pies. Where does it end? Construction-wise, the options are daunting, too: top crust only, bottom crust only, both top and bottom? Flat top, lattice top, tiled top? Pie dough, cookie crumb, mashed potato, noodle? 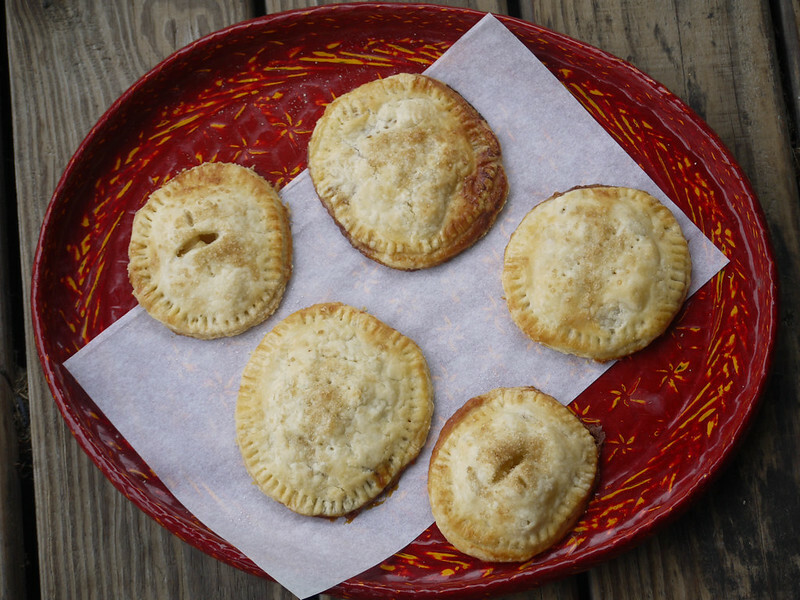 Round pie, square pie, rectangular pie, hand pie? I get a bit overwhelmed with options. I don’t thrive in a world of too many choices. But here’s where pie is a comfort: it doesn’t matter what choice you make. It doesn’t matter because pie is good no matter what. Pie will be there for you. Pie will be made of whatever you have on hand, whatever you just picked at the farm stand, whatever’s left over in the refrigerator after a long week. If it’s a sweltering, muggy day and you want to cool off, pie can be cool with fresh fruit and mint and an ice cream sidecar. If it’s a cold and rainy and dismal day (as today happens to be), pie can be warm, steaming, and comforting. This week has been a bit crazy. I really didn’t have time to think about pie. I looked around the kitchen and thought: what can be pie? The ball of fresh mozzarella volunteered first, followed by the jar of tomato jam. The pears hanging out in the apple bowl wanted to play, too. As did the smokey caramel sauce that’s been in the fridge for a few months. Okay. Let’s make pie! Two types. Two shapes. One summery and savory, a play on caprese salad; the other sweet and smokey like an autumn evening in front of a bonfire. Now, look around your kitchen, your pantry, your fridge? What wants to be pie? This month’s Let’s Lunch theme is (you guessed it) PIE! Take a look at the wonderful variety of pies the rest of the group has made. Slice and then chop the mozzarella into 1/4-inch cubes. Roll the dough to about 1/8-inch thick. Use a knife or pizza wheel to cut squares. (I cut 6-inch squares. Cut the size you like.) Then cut each square in half diagonally to form two triangles. 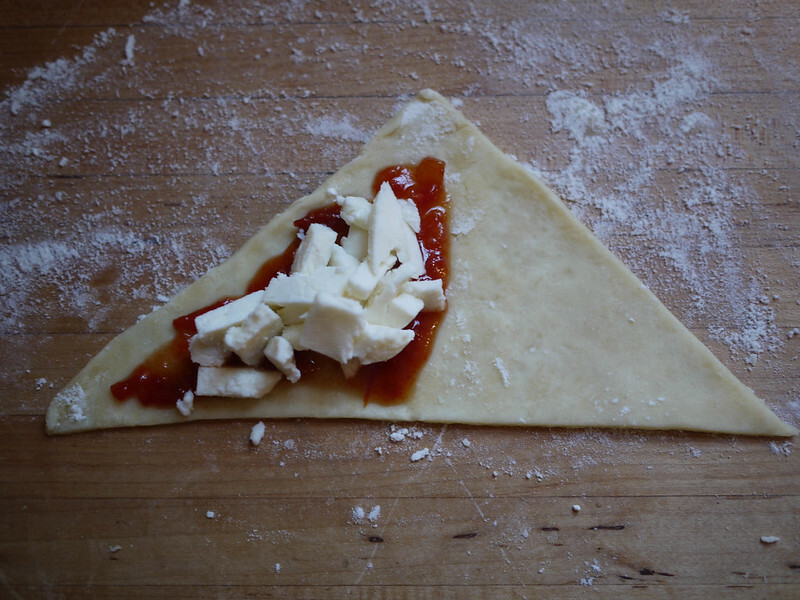 On each triangle, spread one teaspoon of tomato jam on one half of the triangle. Try to keep a clean border around the edge so that you can seal the pie. Add .5 ounces (15 g) of cheese to the jammy half. Fold the triangle in half, then seal and crimp the crust. Poke or slash the top crust to let steam escape. Put the pie on the prepared cookie sheet. Repeat for the remaining triangles. Bake for 20 minutes, until lightly golden. Expect some cheese to leak out, unless you’re a master crimper (I’m not). Remove the pies from the sheet and let cool on a cooling rack, but only for as long as you like. It’s okay to eat these as hot as you can stand. 1/2 batch of pie dough (or 1/2 package of pre-made pie dough; see the note for tomato pies, above). 2 large, firm pears, peeled, cored, and chopped into 1/4-inch pieces. Combine the chopped pears, sugar (or honey), vanilla, salt, and spices in a bowl and let sit until the pears are juicy, about 15 minutes. Use a cookie cutter, bowl, or drinking glass to cut circles. (I cut 4.5-inch circles. Cut the size you like.) Each pie requires two circles, so make sure to cut an even number of circles. Put one teaspoon of caramel sauce in the center of a circle. Add about 2 tablespoons of the pear mixture (adjust as needed, depending on the size of your circle and your preference). Top the pie with another circle, then seal and crimp the crust. Poke or slash the top crust to let steam escape. Repeat for the remaining circles. Brush each pie with milk, then sprinkle with turbinado sugar. Remove the pies from the sheet and let cool on a cooling rack. How adorable. The problem with a big pie is you feel like you need to have a crowd to share it with. 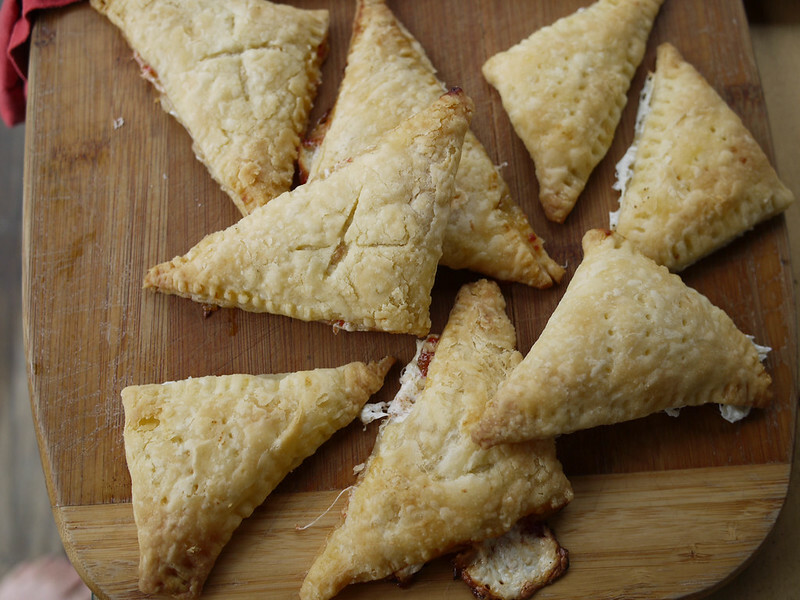 These look perfect for snacking! Just fabulous – I want to make pie now. Even though I just made pie. You make me want to make more pie -now that’s inspiring! Lol! Well that’s saying something! OH!! Yea Please!! Lots of pie! Love the idea of the cheese/tomato jam. They all looks so beautifully flaky! Thank you! They turned out really flaky and tasty. 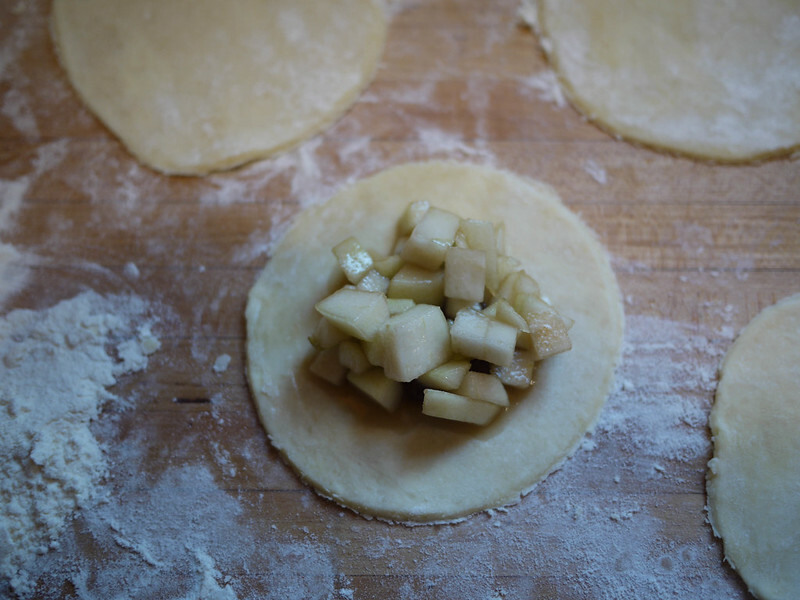 I’m in absolute love with the pear pies…. Oh my, I am sooo glad this post is for two pies. 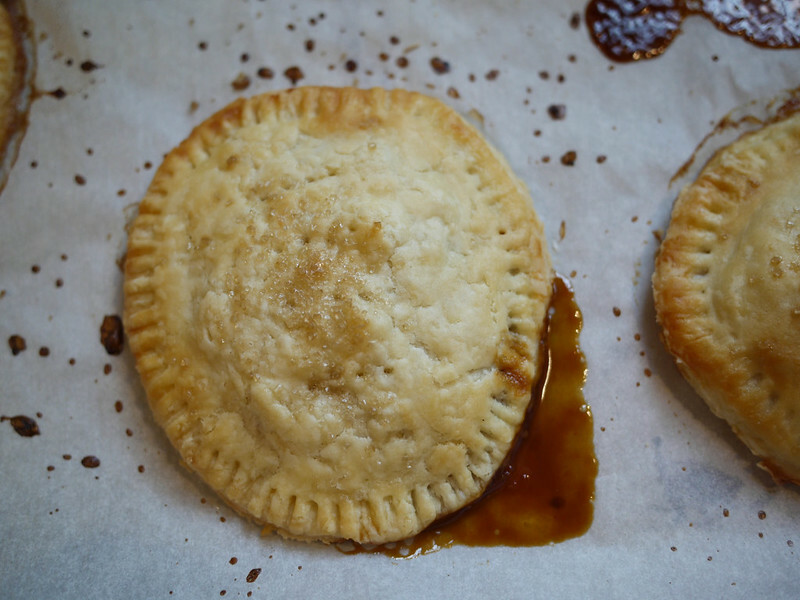 I read mozzarella, tomato jam, pears, and caramel sauce and got very nervous about that pie! lol They both sound delicious – you are so clever! “What wants to be pie?” Yep. Let your ingredients have a say. Love this post to pieces! lol! Indeed. And thank you! 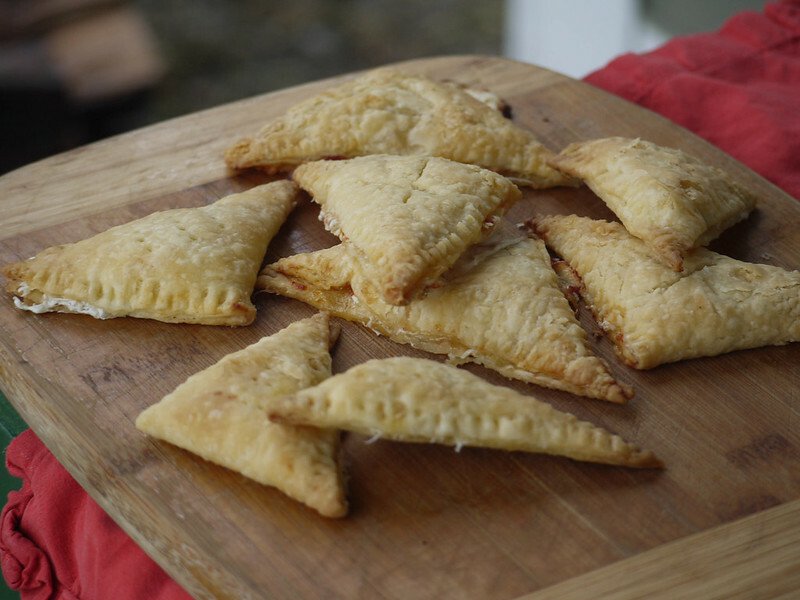 Okay, those little hand pies are really cute. I, however, live with guys…and I would need to make a hundred of those to go around on a game day for just a few guys, because everyone knows that everything tastes good as a pie! Nice job on those. 🙂 In that case, you’ll have to think of them as appetizers rather than the main meal!